Northern Supercar Hire is pleased to add the Aston Martin DB11 to it’s fleet of Supercars for Self-Drive Hire. The DB11 is a Supercar and a classic rolled into one. With immense power, smooth clean lines and a sophisticated interior, it offers the Supercar driver a wealth of features to enjoy. The Aston Martin DB11 boasts 0-62 mph in only 3.2 seconds, with a BHP of 600. 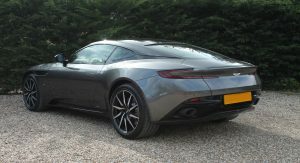 The Aston Martin DB11 for hire from Northern Supercar Hire is a beautiful silver model – perfect to admire the effortless lines of this Supercar’s body. So if you’d like to drive this amazing Supercar, call Northern Supercar Hire now for more information. 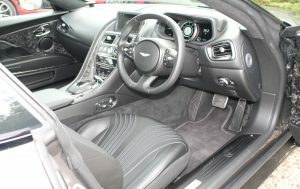 Northern Supercar Hire can give you a free quote for driving the Aston Martin DB11 in minutes. Don’t Dream it – Drive it! With Northern Supercar Hire.